I find myself struggling with this passage. 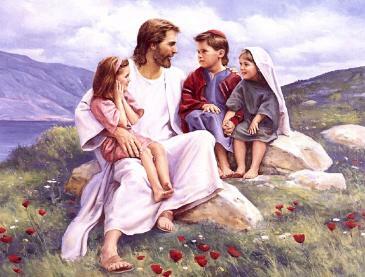 Jesus instructs his disciples that in order to enter the kingdom of heaven, one must become like a little child. Are you kidding me? I have spent my adult life trying to grow up, trying to get it together, trying to act like a responsible adult and now Jesus is telling me to act like a child! After reading and rereading this passage, what I finally see is what Jesus does not say. He does not say act childish; demanding your own way, crying and whining when you don’t get what you want, stomping your feet or dragging along when you follow Him down a path you don’t want to take. What He does say is to be humble like a child in order to enter the kingdom of heaven. I spent some time reflecting on my own two sons. I have learned that in many ways they are my greatest teachers in the ways of the Lord. They rely on me to feed them, clothe them, care for them, tend to their cuts and scrapes, dry their tears, rejoice in their successes, console them in their failures and most of all just to love them for the beautiful children that they are now and the beautiful men they are becoming. If I can do these things in my own broken, human way, does not my Father in heaven do as much for me and so much more? As a volunteer in the kindergarten classroom I have seen that children are free to be open, loving, and vulnerable far more often than adults. As adults, we have learned to close off portions of our hearts to protect ourselves from the big bad world around us. Children know nothing of the world. All they know is love so they are free to love those around them with a selflessness that is unmatched by most adults. My ten-year old son demonstrated this openness recently in an act of kindness that touched me at the deepest levels. We were at Mass on Thursday afternoon. As we knelt, he leaned over and whispered to me “At the sign of peace, can I go over and give the sign of peace to that nice lady over there?”. I glanced across the aisle at the elderly woman he was pointing to and without really giving it much thought, said “yes”. At the sign of peace, he quickly kissed my cheek, climbed over his six-year old brother, crossed the aisle and walked halfway down the pew to reach this woman. I was shaking hands with those around me and it was not until he was coming back across the aisle that I realized what he had seen about this particular woman. She was alone and isolated. There were four empty pews in front of her and five empty pews behind her. As we knelt again, I glanced across the aisle and saw her sobbing into a tissue. It struck me then exactly what my son had done for her. He saw her. Nothing more extraordinary than that – he saw her. He realized she was alone and reached out to her. He did not shake her hand but instead gave her a big hug, full of all the love and light that only a child can give. She needed that hug. I don’t know why and neither did he, but somehow he knew what she needed. I didn’t know the woman that was at Mass Thursday and neither did he. He told me he just wanted to be nice to her. This is what it means to be like a child. It means not to look but to see. We are called to see the people around us as though we are seeing through the innocent eyes of a child. If I am a child of God, then those around me are also children of God. As children in this classroom that is the world, we need to remember what it is to be kind, to be accepting, to be loving, to share well with others, to laugh, to play, to comfort each other and while we can’t realistically befriend everyone, we can respect them and treat them fairly. As adults, this can feel uncomfortable, even emotionally dangerous. Yet this is what Jesus calls us to be – a child who is open and loving. He told his followers, “When you welcome one of these little ones, you welcome me.” He never said it was going to be easy but He did say that with God, all things are possible.